If you're wondering where Tom Hardy's First Order Stormtrooper was in Star Wars: The Last Jedi, he was cut from director Rian Johnson's divisive sequel. However, Hardy's scene will be included as part of an additional twenty minutes of footage in the upcoming Blu-ray disc release. 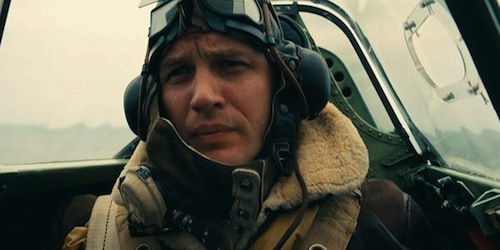 Hardy's character possessed a thick southern accent who, after initially appearing threatening, turns out to be an ally of Finn (John Boyega) (via SlashFilm). Did you spot Rogue One: A Star Wars Story director Gareth Edwards fighting in the trenches on Crait in The Last Jedi? You can read my spoiler review for The Last Jedi here. Suffice to say I've already pre-ordered the 4K Blu-ray disc, which is available from Amazon (affiliate link).